Here’s what you need to know from this month’s jobs report. The unemployment rate held steady at 5 percent. Businesses added more than 200,000 workers. The government bean-counters bumped up their estimates of job gains in prior months. Wage growth remained in its same old 2–2.5 percent range, though it dipped down a little between October and November. But that’s all old hat at this point. 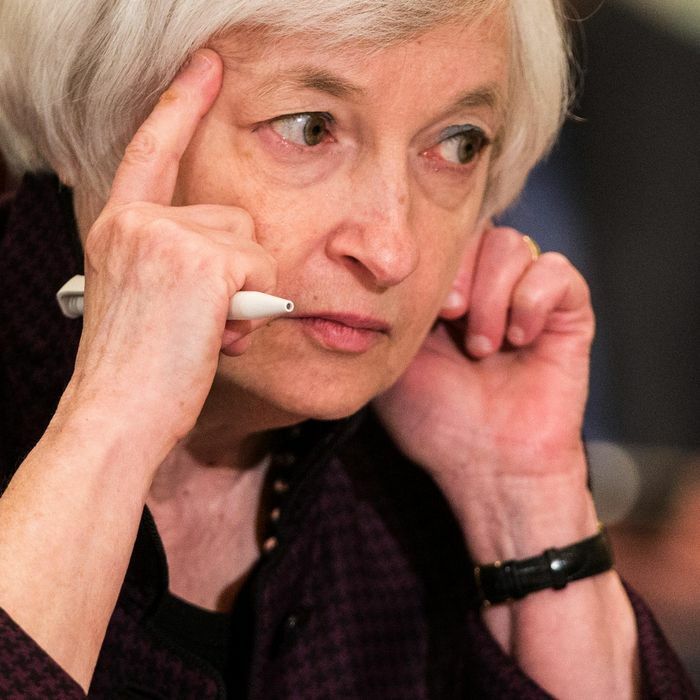 The thing that you really need to know is that the report is more than good enough for the Federal Reserve to go ahead and lift interest rates at its next meeting, in mid-December. That will be the first interest-rate hike since mid-2006, and will mean the end of the zero interest-rate policy in the United States. Why raise rates? That’s where things get complicated. The best answer seems to be “Because the Fed wants to.” There’s nothing in wage or inflation data to suggest that the economy is overheating, and there are signs that there is still plenty of slack in the labor market. Given those conditions, a lot of economists are urging the Fed to stay its hand. But it has long seemed anxious to normalize monetary policy, and the economy is strong enough to withstand the hit.